From the breakout star of MasterChef Australia, Dan Churchill’s DudeFood, a cookbook that will educate, motivate, and inspire men to put on an apron and turn on the oven. Attention, dudes: you no longer have an excuse to avoid the kitchen. 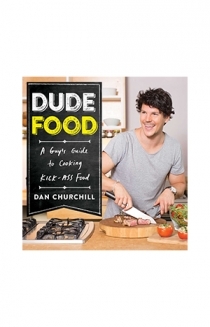 Dan Churchill has written a cookbook for guys who have always wanted to cook, but don’t know where to start; boyfriends who are initimidated by a frying pan; and sons who have too long relied on their parents for meals. These mouth-watering recipes are easy to read and, most important, easy to replicate. 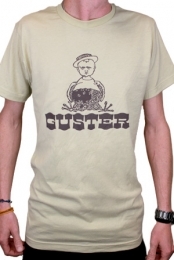 When Churchill was twelve, he put on an apron and agreed to take his turn cooking dinner for his family. Now in his twenties, Churchill draws on his self-taught experience in the kitchen, along with his extensive knowledge of nutrition, to create simple, delicious, and healthy meals. Divided into sections based on everyday scenarios and featuring forty-five recipes, DudeFood shares the secrets to cooking a repertoire of eggs, seafood, poultry, meats, vegetables, sandwiches, and even desserts. If it’s Sunday afternoon and you’re preparing for another long workweek: save time and money with Churchill’s slow roasted beef, a hearty meal you can enjoy that same evening, but also slice up for lunch tomorrow. If it’s early Wednesday morning, and you’re getting ready to hit the gym: mix the ingredients for a banana chocolate smoothie in your blender, which provides the right amount of protein you need to repair your muscles after lifting weights. If it’s Saturday night—date night—and you’re eager to impress, follow Churchill’s directions for baking a shortbread cookie topped with delicious chocolate ganache. 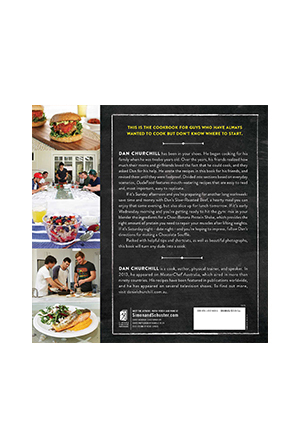 Packed with helpful tips and shortcuts, as well as beautiful photographs, this book will turn any dude into a cook.